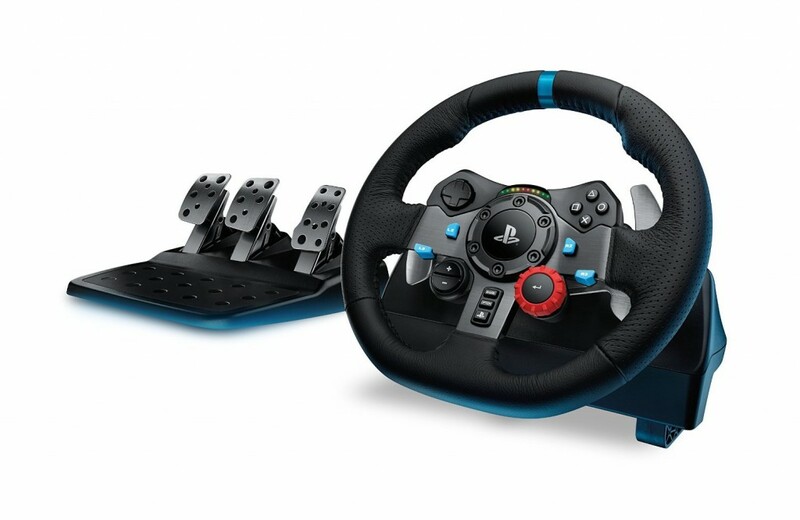 The G29 Driving Force is the first PlayStation 4 wheel from Logitech. If you are planning to pick up product, there are also a few add-on products we suggest buying in order to make the most out of the accessory. You can check out our list of recommended items below. First, let’s take a look at what’s included with the G29. The product comes with a wheel that has dual-motor rumble support in addition to 900 degrees of rotation. It also uses hand-stitched leather for added authenticity and better grip. In terms of buttons, the wheel is attached with paddle shifters in addition to a directional pad, options, share, face and shoulder buttons of the DualShock 4. Of course, the G29 Driving Force comes with a pedal set as well. 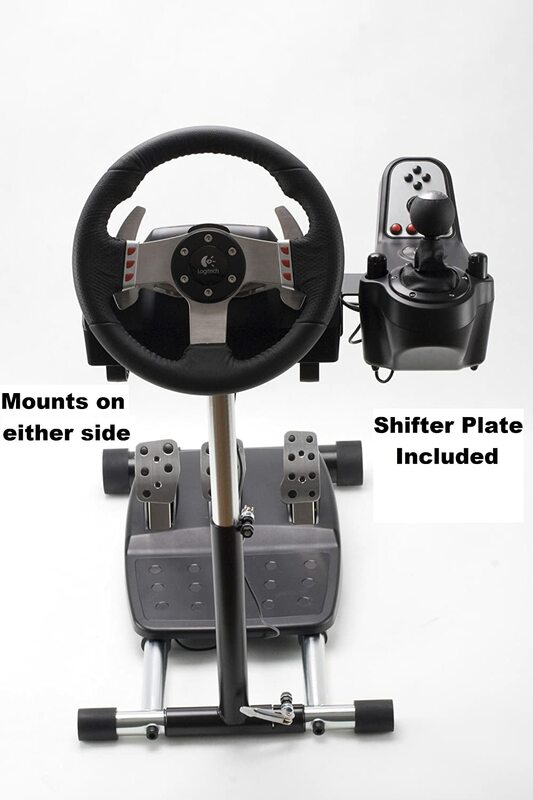 Using the three pedals, you will be able to speed up, brake and change gear. Both the pedal and wheel are built with solid steel so that they won’t be easy to break. If you haven’t done so already, you can order the wheel with this link on Amazon. If you prefer using another method to change gear, you might want to check out the Logitech G Driving Force Shifter, which is compatible with the G29 (along with the G920 for the Xbox One). The product uses a “H” shaped pattern to change between six speeds. It is also built with solid steel along with hand-stitched leather boot and knob to ensure comfort and durability. Last but not least, the clamps and bolt points should make the shifter easy to mount. 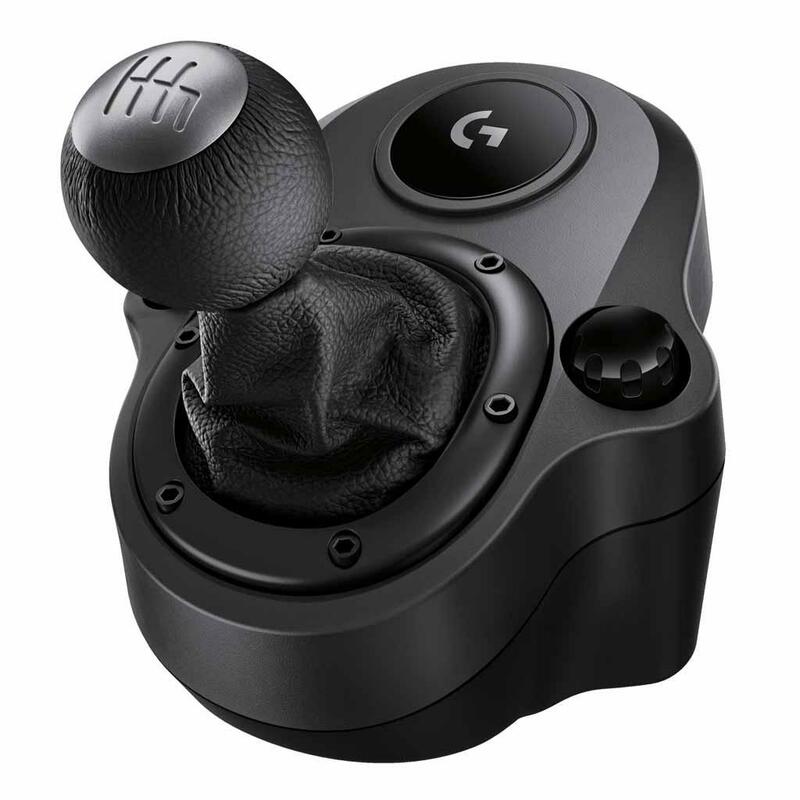 You can purchase the Logitech G Driving Force Shifter with this page. Of course, you might also want to take a look at a dedicated stand, instead of a makeshift one, to go along with the Logitech G29 Driving Force. The one from Wheel Stand Pro provides an affordable solution to fit your needs. It measures at 16 inches wide, 26 inches long in addition to between 18 to 28 inches tall. Of course, you will be able to adjust the angle and height of the wheel based on your preferences. The Wheel Stand Pro product will also keep both the wheel and pedal stable as you can use bolts to secure them into place. There is even a plate to hold the Logitech G Driving Force Shifter. Last but not least, the rubber feet should also keep the entire stand stable even during usage. If you are interested, you can buy the G29-compatible wheel stand here. Of course, the wheel and add-on accessories won’t be much use without the right games. There are two titles that you should purchase along with the G29 if you haven’t already. One of the more underrated games on the PlayStation 4 is DriveClub. The PlayStation 4 exclusive, which was released on October 7th of last year, has easily the best graphics in the racing genre as it often looks photo realistic. Not to mention that the day-night cycle and real-time weather effects really change how each of the races play out. Add in some innovative online features and you have yourself a great racer. You can purchase the full version of the game with this link. Alternatively, you can also download the PlayStation Plus version of DriveClub, which offers a scaled down version of the experience at no additional costs, if you are a PS+ member. 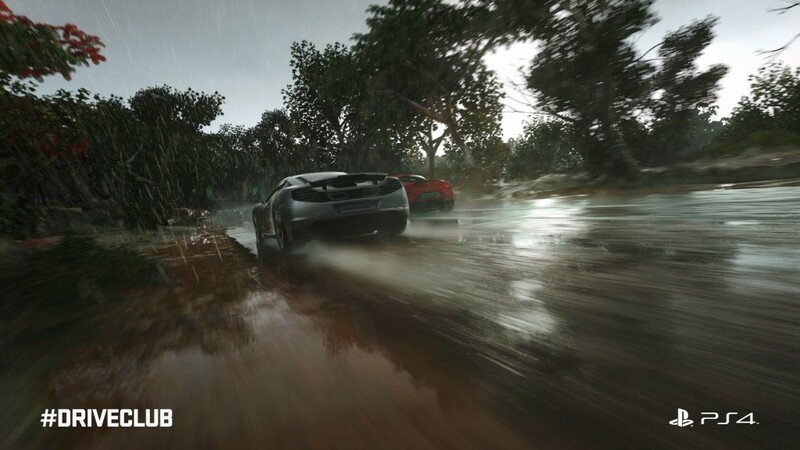 The other major racing game to check out on the PlayStation 4 is Project Cars. The racing simulator offers dozens of unique cars to drive around in addition to more than 100 courses. Not to mention that future support for the Project Morpheus virtual reality headset has already been announced. So, if you are looking for a simulator to play in order to past time until Gran Turismo 7 is inevitably announced and released, make sure you check out Project Cars with this link. If you are planning to buy or already have the Logitech G29 Driving Force, make sure you check out the add-on games and accessories we mentioned above to get the most out of your PlayStation 4 Wheel purchase.